Our Instagram feeds have been blessed. Ever since Oprah announced Mindy Kaling was expecting a baby girl, fans have been eagerly awaiting the first photos. After all, we’ve been big fans of Mindy Kaling since her days on The Office. Seeing her become a proud mother is just one more thing we love about her. But the star of The Mindy Project had a rather secretive pregnancy and birth. 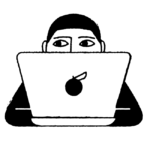 She opted to not reveal the identity of her child’s father and has kept details about the baby, named Katherine Swati Kaling, to an absolute minimum. Despite being so tight-lipped, the proud mom is finally sharing some photos of her little bundle of joy. Well, sort of. On Saturday, January 20th, Mindy Kaling posted a picture of Katherine, who was born in December of 2017. The only catch? You can’t actually see the baby. That’s because Katherine is carefully swaddled up and tucked away in what is possibly the coolest stroller ever. The fashion-savvy Mindy Kaling is totally sharing her love of style with her newborn daughter. 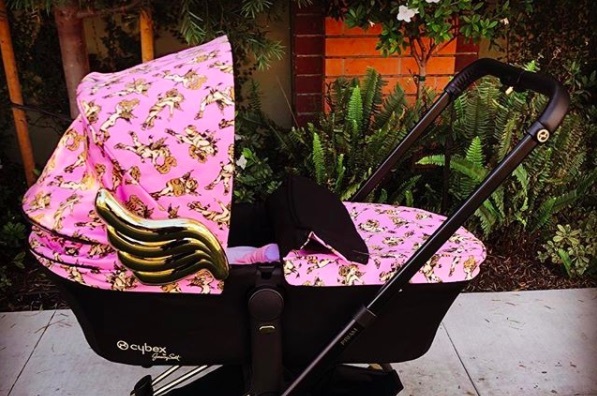 This stroller, a Cybex by designer Jeremy Scott, has to be seen to be believed. It’s totally tricked out with gold wings on the side, gold rims galore, and a bunch of cherubs frolicking against a cheerful pink background. Baby Katherine is definitely going to be enjoying her walks in serious style. Perhaps she also has the full collection? While we can’t wait to see the actual first pictures of little Katherine, we totally understand and respect Mindy Kaling’s need for a little privacy. In the meantime, we’ll be over here insisting that we’re absolutely not jealous of Katherine’s cool wheels. Well, ok…maybe just a little. Can you blame us?